Yes! Jarod Klintz has portrayed consumerism in a perfect way, or rather stole words off the fingertips! Black Friday, the Friday following Thanksgiving Day is indeed a religious day for consumers all over the United States of America. We all wait for this day to arrive so that we can shop for holidays at super cheap rates. Well, shopping just for you may not be entirely fair! Being an important part of the family, we should also buy some stuff for our canines and felines. To make Black Friday equally exciting for pet supplies shopping, CanadaVetExpress announces a discount of 15% on all the pet products. Yes, you can bag the leading brands of pet supplies from Canada Vet Express and save big! Our online site is extremely easy to operate so it would be effortless for you to search the favorite pet supply for your furry friends. And, we not only provide healthy treatments for canines and felines, but we also have a whole section allotted for birds. Canada Vet Express has the most popular categories of pet wellness to name flea and tick control, heartworm control, joint care, and wormers. This is an ideal time to prepare to prevent the furry companions from dangers that may come in the upcoming holiday season. Heartworm infestation is found more in canines during winters. Cold has started spreading its chilly web and time has come to secure your pets from the mosquitoes that may transmit heartworms to your pet. Black Friday discount will let you stock on some great heartwormers like hHeartgard Plus, Interceptor, and Revolution at super cheap amount. 15% Off on Black Friday deal and free shipping policy of Canada Vet Express adds a lot to your saving bags. We deliver to the remotest corner of USA without charging a single penny and that may be perfect for all pet owners who are looking for incredible bargains on pet supplies this season. Hurry! 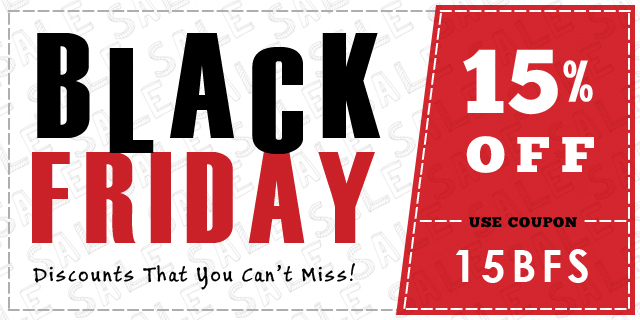 Fill your carts and use coupon code: 15BFS to avail Black Friday discount. NEXT POST Next post: Cyber Monday Discounts- Buy More To Save More at Canada Vet Express!